ghost901 has contributed to 74 posts out of 468642 total posts (.02%) in 3,339 days (.02 posts per day). I have to formally side with DeadHamster on this one. They clearly state that Security/Stability is their primary focus and that development tools "are options they are looking at". Nothing about that statement indicates it will happen. As said before, Microsoft ultimately does not want mod tools to end up in our hands. From a logistic and financial standpoint, what would Microsoft gain from allowing a full unlocked HEK to be released with MCC? It hurts their franchise and in the end, would render any future Halo PC useless, as you would quite literally give the "best" of the community, a way to introduce future content right inside of MCC. This would make the profit of future titles very slim. Indeed it would please the community, but it would also hurt it as well. Halo and HEK are and can be, a double edged sword for the PC Community. Microsoft also has a proven track record or retconning anything that doesn't fit their agenda. Whether it's backpedaling on another developers promise or their own internal studio. That didn't stop the sales of past Halo games. What makes you think that it'll be any different this time? The leadership from back then is hugely different from the one in charge right now. I want to try playing halo before this MCCPC drops. Anyone know any good programs for adjusting the FOV and resolution? I would guess Yelo but idk how that works. Dennis if you're reading this: howdy partner, hope your doing well. I'll buy you a pizza, or a beer. You deserve it. 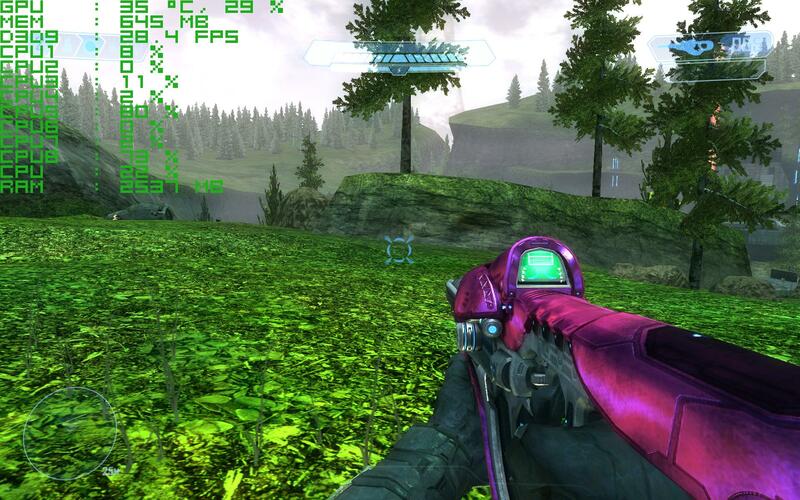 Chimera is a mod that adds many enhancements and fixes to Halo Custom Edition. Many things that were not thought to be possible are present in Chimera, such as interpolation. Note that this is not an exhaustive list. Fast loading - This provides a speedup to Halo�s startup time, similar to HAC2�s map cache. Aim assist fix - This enables and fixes aim assist for gamepad users. Automatically enable the console - Enable console without -console. Console fade out fix - Fixes the fading out issues with the console at high frame rates. Console history enhancement - Opening the console re-shows messages that had faded out. Biggest feature is Interpolation. This pretty much means animations and such are no longer stuck at 30FPS. You can read more about chimera here. You'll find all the commands for FOV and such right there. You might also want to pair it up with HAC for automatic in-game map downloading. Just make sure to put both files inside the controls folder that's inside you custom edition directory. I think it is in Microsoft�s best interest to release some form of editing kit. Doesn�t necesairly have to be released right away with the game. In any regard, people will have an interest in reverse engineering the game, so might as well give them what they want. I highly doubt this for one reason; Why would they? Who even has the talent to make custom content for the Halo 3, Reach or 4 Engine, both of which are completely proprietary and have never been used by anyone outside Bungie/343 before? And if there are a few people out there, are those people Microsoft's Target Demographic? They're releasing this to boost the Windows platform, and to draw in gamers. Not game designers. That's why they mentioned NOTHING about custom content, that's why they said nothing about an editing kit. They loose nothing by releasing the tools for Halo 1 anniversary multiplayer. Which is based off the Gearbox PC port. They probably wouldn't even need to create much documentation since that is already taken care of by Halo Custom Edition. I'm sure they could draw in even more attention by giving us the ability to load custom edition maps in H1A multiplayer. A blog post they posted a few months ago talked about Kornman looking into doing just that. The obstacles they pointed out that were preventing them from loading them on Xbox don't really exist on PC. Anyone here know where to get all the documentation Kornman provided in regards to the Halo CE engine? The wiki he provided seems to be long dead. Contacting him is out of the question since he's currently working for 343i on fixing the Halo 1 portion of the MCC. Run the mek_installer and tell it to update. That'll fix it. 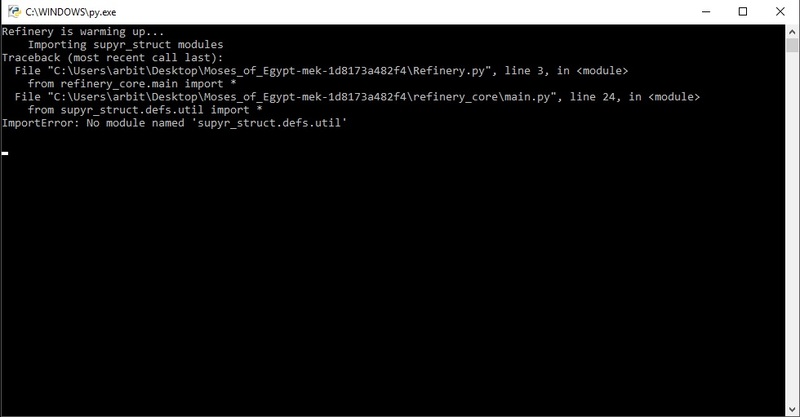 If it doesnt, clear your python pip cache and run it again. It's still not working I'm afraid. If that's the case then maybe you should actually be helpful by linking him to the correct place instead of calling me out? I had already been helpful. You see, there is an underlying issue that takes priority over spoon-feeding him. That is that he seems unaware of how to use a search engine. You can spoon-feed people if you want to, but next time I'd advise giving them what they want to eat instead of assuming. I didn't realize there was a rule against helping members out. The dude asked for help so I did exactly that. If you don't like that then just stop posting. You read the title of the topic or the topic itself, then you might have realized he isn't asking for the CE update. Ran into the energy sword bug. All tags are stock extracted with Refinery. It seems to occur on that one instance. I'm having issues with HAC not saving changes to preferences.ini. Anyone having this problem? I'm still having issues with this version. Anyone here on the latest windows 10 version having the same problem? This is odd. It seems to only want to make changes to preferences when I'm in a online game. if you wanted to play the campaign, you'd need to download all the campaign map files (I'm sure someone can link you to good default campaign files for CE). The scripts for these maps are broken. My MacBook Pro 13 inch model generally gets 60 fps at 1920 x 1080 in SPV3. 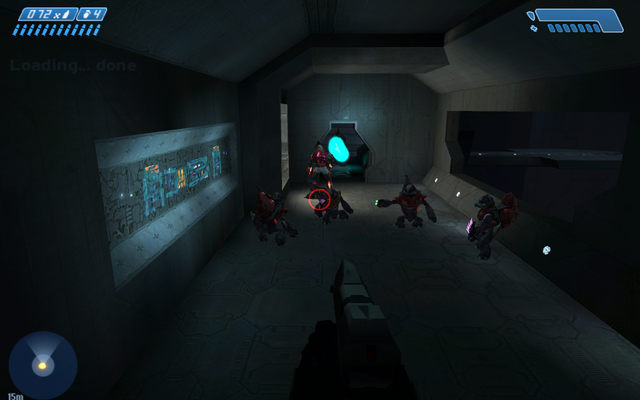 The second BSP area in Halo (second mission) brings me down to about 20 fps at times. It's definitely something engine/OS related. Only in that particular area though. My framerate is in the 200s everywhere else. This seems to be beyond CMTs help since the engine was only designed to run on single core processors. Wether an engine will perform optimally or not is no where related to the age of the engine. A good comparison is IGI 2 and COD AW. IGI 2 runs well on even oldest of machines but COD AW lags like hell on top config PCs as well. SPV3s performance is not related to how old an engine it uses, considering it runs perfectly on my pc. Not exactly true. Take CryEngine 2 for example, its an unoptimized engine that still struggles to this day to run efficently (eg Crysis). Considering DaLode has actually built an engine in the past, he may know a thing or two!! That's not really a good example because my old 750ti can handle it maxed out with a decent framerate. A better example would be the source 1 engine that is for the most part still largely single threaded. So where do we post bug reports? When I exited a wraith in a30, I clipped through the map and crashed. Time: Wed April 24, 2019 3:09 AM 329 ms.